Well, anytime is tea time in the Sahara. Tea with a lot of sugar, and a few spoons of extra sugar. 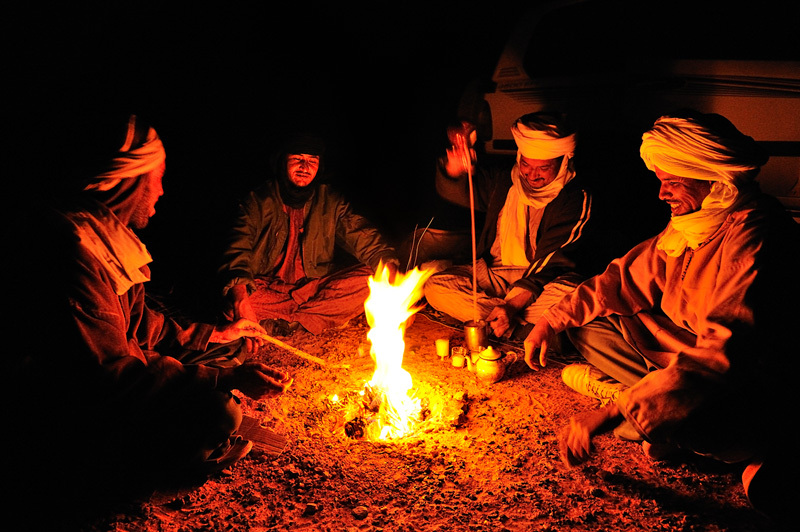 This is a shot of our crew preparing tea at our campfire after another intensive travel and photography day in the Libyan desert.